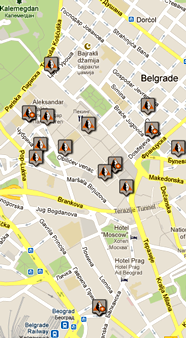 Welcome to Belgrade-Apartments.net, your website for self-catering apartments in Belgrade. Our mission is to provide quality accommodation in well located apartments for the independent business- or leisure traveller. Full services such as cleaning and linen delivery are provided during your stay. And well knowing that a great number of visitors to Belgrade prefer to stay in authentic surroundings, all apartments shown on our website are inspected and chosen by us. Doing this, we can achieve our goal to provide quality service, safety and satisfaction to all our guests. 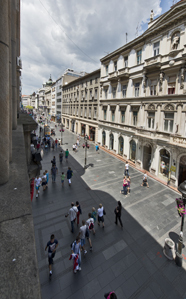 We offer something different, a convenient and fuss-free alternative to the regular hotel room: An entire apartment all located in one of the top areas in all Belgrade, next to Knez Mihajlova street. Knowing that people like to see exactly what they'll be getting, we've given each apartment its own web page packed with pictures so you can take a look before you arrive. Because some of our apartments are located in the same building they are ideal for large families, friend get together or any large group looking for accommodation in central Belgrade and not wishing to stay in the standard Belgrade hotel room. Welcome to us and our website. And above all, welcome to Belgrade.